Discussion threads for projects that have not begun construction. J. Elias O'Neal wrote: Henrico County’s dreams of beefing up development in the Westwood Avenue area soon could get a jolt from a local insurance company. 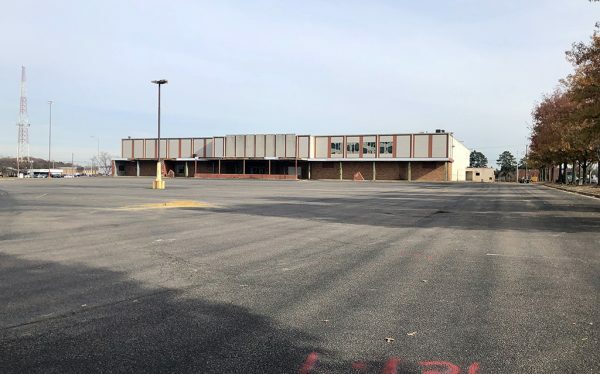 Kinsale Capital Group, a publicly traded insurer based at 2221 Edward Holland Drive near Willow Lawn, is under contract to purchase 5.6 acres at the intersection of Maywill and Thalboro streets, where it plans to build to a new 150,000-square-foot, five-story home base. Kinsale’s plans were confirmed by Joe Marchetti, a local CBRE | Richmond executive who is acting as a consultant for Kinsale on the deal. A development plan for the building was filed with the county’s planning department on Friday. The property would be sold off from a larger 25-acre site owned by an entity tied to Ukrops’ Homestyle Foods. An existing 50,000-square-foot building that’s used for warehousing would be razed to make way for the development, Marchetti said. He said Kinsale, which is run by CEO Michael Kehoe, will occupy an unspecified amount of space in the building and look to lease out the remainder. A four-story parking deck is also part of the project, Marchetti said.